Lou Silver Harrison (May 14, 1917 – February 2, 2003) was an American composer. He was a student of Henry Cowell, Arnold Schoenberg, and K. P. H. Notoprojo (formerly called K.R.T. Wasitodiningrat, informally called Pak Cokro). Harrison was born in Portland, Oregon, but moved with his family to a number of locations around the San Francisco Bay Area as a child. He graduated from Burlingame High School in Burlingame, California in 1934, then he moved to San Francisco. The diverse music which he was to be exposed to there, including Cantonese opera, Native American music, Mexican music, and jazz as well as classical music, was to have a major influence on him. He also heard recordings of Indonesian music early in life. Harrison took Henry Cowell's "Music of the Peoples of the World" course, and also studied counterpoint and composition with him. He later went to the University of California at Los Angeles to work at the dance department as a dancer and accompanist. While there, he took lessons from Arnold Schoenberg which led to an interest in Schoenberg's twelve-tone technique. The pieces he was writing at this time, however, were largely percussive works using unconventional materials, such as car brake drums, as musical instruments. These pieces were similar to those being written by John Cage around the same time, and the two sometimes worked together. In 1943, Harrison moved to New York City where he worked as a music critic for the Herald Tribune. While there he met Charles Ives, became his friend, and did a good deal in bringing Ives to the attention of the musical world, which had largely ignored him up to that point. With the assistance of his mentor Cowell, Harrison prepared and conducted the premiere of Ives's Symphony No. 3, and in return received help from Ives financially. When Ives won the Pulitzer Prize for Music for that piece, he gave half of the money to Harrison. Harrison also edited a large number of Ives's works, receiving compensation often in excess of what he billed. Harrison supported and promoted the music of a number of unconventional composers in addition to Ives. These included Edgard Varèse, Carl Ruggles, and Alan Hovhaness. Later during his time in North Carolina, Harrison taught at Black Mountain College. In 1947, he suffered a nervous breakdown, and moved back to California. Following in the path of Canadian composer Colin McPhee, who had done extensive research in Indonesian music in the 1930s and wrote a number of compositions incorporating Balinese and Javanese elements, Harrison's style began to change, showing the influence of gamelan music more clearly if only in timbre: "It was the sound itself that attracted me. In New York, when I changed gears out of twelve tonalism, I explored this timbre. The gamelan movements in my Suite for Violin, Piano, and Small Orchestra  are aural imitations of the generalized sounds of gamelan". Virgil Thomson (with whom Harrison also studied) gave him a copy of Harry Partch's book on musical tuning, Genesis of a Music, which prompted Harrison to start writing music in just intonation. He did not abandon equal temperament altogether, but often expressed a desire to do so. In an oft-quoted comment referring to the frequency ratios used in just intonation, he said, "I'd long thought that I would love a time when musicians were numerate as well as literate. I'd love to be a conductor and say, 'Now, cellos, you gave me 10:9 there, please give me a 9:8 instead,' I'd love to get that!" Although much influenced by Asian music, Harrison did not visit the continent until a 1961 trip to Japan and Korea and a 1962 trip to Taiwan. He and his partner William Colvig later constructed a tuned percussion ensemble, using resonated aluminum keys and tubes, as well as oxygen tanks and other found percussion instruments. They called this "an American gamelan," in order to distinguish it from those in Indonesia. [They also constructed?] gamelan-type instruments tuned to just pentatonic scales from unusual materials such as tin cans and aluminium furniture tubing. He wrote "La Koro Sutro" for these instruments and chorus, as well as "Suite for Violin and American Gamelan." In addition, Harrison played and composed for the Chinese guzheng zither, and presented (with Colvig, his student Richard Dee, and the singer Lily Chin) over 300 concerts of traditional Chinese music in the 1960s. He was a composer-in-residence at San Jose State University in San Jose, California during the 1960s. The university honored him with an all-Harrison concert in Morris Daley Auditorium in 1969, featuring dancers, singers, and musicians. The highlight of the concert was the world premiere of Harrison's depiction of the story of Orpheus, which utilized soloists, the San Jose State University a cappella choir, as well as a unique group of percussionists. Like many other 20th-century composers, Harrison found it hard to support himself with his music, and took a number of other jobs to earn a living, including record salesman, florist, animal nurse, and forestry firefighter. With Lou Harrison...being gay is something affirmative. He's proud to be a gay composer and interested in talking about what that might mean. He doesn't feel threatened that this means he won't be thought of as an American composer who is also great and timeless and universal. unabashedly androgynous in his way of approaching creativity. He has a vital connection to the feminine as well as to the masculine. The female part is apparent in the sense of beingness. But at the same time, Lou is very male, too, ferociously active and assertive, rhythmic, pulsing, and aggressive. On November 2, 1990, the Brooklyn Philharmonic premiered Harrison's fourth symphony, which he titled Last Symphony. He combined native American music, ancient music, and Asian music, tying it all together with lush orchestral writing. A special inclusion was a series of Navajo "Coyote Stories." He made a number of revisions to the symphonies before completing a final version in 1995, which was recorded by Barry Jekowsky and the California Symphony for Argo Records at Skywalker Ranch in Nicasio, California in March 1997. The CD also included Harrison's Elegy, to the Memory of Calvin Simmons (a tribute to the former conductor of the Oakland Symphony, who drowned in a boating accident in 1982), excerpts from Solstice, Concerto in Slendro, and Double Music (his collaboration with John Cage). Harrison and Colvig built two full Javanese-style gamelan, modeled on the instrumentation of Kyai Udan Mas at U.C. Berkeley. One was named Si Betty for the art patron Betty Freeman; the other, built at Mills College, was named Si Darius/Si Madeliene. Harrison taught at Mills College for several years, where one of his students was Jin Hi Kim. He also taught at San Jose State University and Cabrillo College. Harrison lived for many years with Bill Colvig in Aptos, California. He and Colvig purchased land in Joshua Tree, California, where they designed and built the Harrison House Retreat, a straw bale house. Harrison died in Lafayette, Indiana, from a heart attack while on his way to a festival of his music at The Ohio State University. Many of Harrison's early works are for percussion instruments, often made out of what would usually be regarded as junk or found objects such as garbage cans and steel brake drums. He also wrote a number of pieces using Schoenberg's twelve tone technique, including the opera Rapunzel and his Symphony on G (Symphony No. 1) (1952). Several works feature the tack piano, a kind of prepared piano with small nails inserted into the hammers to give the instrument a more percussive sound. Harrison's mature musical style is based on "melodicles", short motifs which are turned backwards and upsidedown to create a musical mode the piece is based on. His music is typically spartan in texture but lyrical, and harmony usually simple or sometimes lacking altogether, with the focus instead being on rhythm and melody. Ned Rorem describes, "Lou Harrison's compositions demonstrate a variety of means and techniques. In general he is a melodist. Rhythm has a significant place in his work, too. Harmony is unimportant, although tonality is. He is one of the first American composers to successfully create a workable marriage between Eastern and Western forms." Listeners to Harrison's music are often surprised that such a modern, innovative composer actually wrote lyrical melodies and often richly harmonized and orchestrated them, much in the tradition of the late Romantic composers. An often used technique is "interval control", in which only small number of melodic intervals, either ascending or descending, are used, without inversion. For example, for the opening of the Fourth Symphony, the permitted intervals are minor third, minor sixth, and major second. Another component of Harrison's aesthetic is what Harry Partch would call corporeality, an emphasis on the physical and the sensual including live, human, performance and improvisation, timbre, rhythm, and the sense of space in his melodic lines, whether solo or in counterpoint, and most notably in his frequent dance collaborations. The American dancer and choreographer Mark Morris used Harrison's Serenade for Guitar [with optional percussion] (1978) as the "basis of a new kind of dance. Or, at least, one I've [Morris] never seen or done before." Among Harrison's better known works are the Concerto in Slendro, Concerto for Violin with Percussion Orchestra, Organ Concerto with Percussion (1973), which was given at the Proms in London in 1997; the Double Concerto (1981–82) for violin, cello, and Javanese gamelan; the Piano Concerto (1983–85) for piano tuned in Kirnberger #2 (a form of well temperament) and orchestra, which was written for Keith Jarrett; and a Concerto for Piano and Javanese Gamelan; as well as four numbered orchestral symphonies. He also wrote a large number of works in non-traditional forms. Harrison was fluent in several languages including American Sign Language, Mandarin and Esperanto, and several of his pieces have Esperanto titles and texts, most notably La Koro Sutro (1973). Like Charles Ives, Harrison completed four symphonies. He typically combined a variety of the musical forms and languages that he preferred. This is quite apparent in the fourth symphony, recorded by the California Symphony for Argo Records, as well as his third symphony, which was performed and broadcast by the Dennis Russell Davies and the San Francisco Symphony Orchestra. Russell Davies also recorded the third symphony with the Cabrillo Music Festival orchestra. 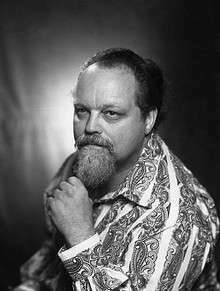 1986 – Lou Harrison : "cherish, conserve, consider, create." Directed by Eric Marin. 1995 – Musical Outsiders: An American Legacy – Harry Partch, Lou Harrison, and Terry Riley. Directed by Michael Blackwood. 2012 - Lou Harrison: A World of Music. Directed by Eva Soltes. 1 2 Miller, Leta. "Lou Harrison - In Retrospect". Liner notes. New World Records. ↑ Aaron, Peter (29 September 2011). "Lou Harrison: Outsider Inside". Chronogram. Retrieved 4 January 2013. 1 2 Leta E. Miller and Fredric Lieberman (Summer, 1999). "Lou Harrison and the American Gamelan", American Music, Vol. 17, No. 2, p.168. Miller, Leta, ed. (1998). Keyboard and Chamber Music, 1937–1994. Music of the United States of America (MUSA) vol. 8. Madison, Wisconsin: A-R Editions. Miller, Leta E.; Lieberman, Frederic (1998). Lou Harrison: Composing a World. Oxford University Press. ISBN 0-19-511022-6. Duffie, Bruce. “Composer Lou Harrison: A Conversation With Bruce Duffie.” April 1987. Golden, Barbara. “Conversation with Lou Harrison.” eContact! 12.2 — Interviews (2) (April 2010). Montréal: CEC.